Rovio’s newest blockbuster physics-based game has broken all download records, thanks to an interesting gameplay concept and some fun building mechanics. Instead of the usual catapult-slinging game, developers chose to put those cute little pigs on the driver’s seat and have given you the responsibility of making wacky vehicles for them for a bumpy joyride. The third game of the Banjo Kazooie series is centered on vehicle construction. 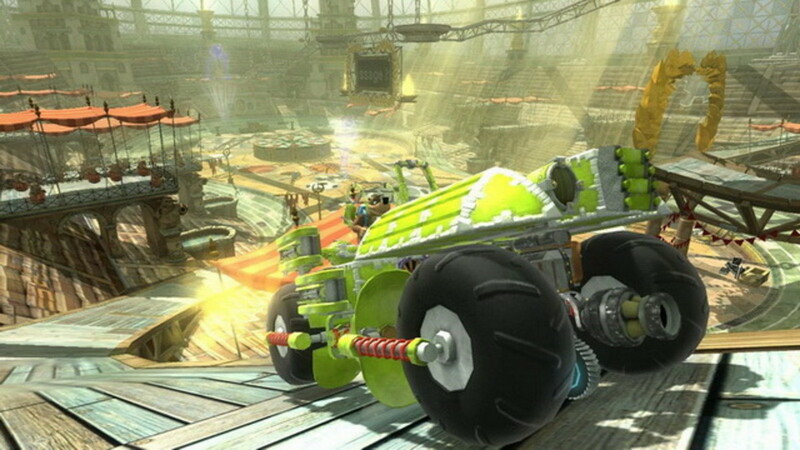 Almost 80 percent of all levels require players to build snazzy vehicles freely from over 1000 components. You will have an assortment of parts for building your mean machine. These include wings, wheels, turbo boosters, even body panels and weapons to equip your newly-built vehicles! The game’s physics engine will encourage you to build a vehicle that performs just like real-life vehicles. The game also allows you to paint your vehicles and save them in your virtual garage. What’s more, you can test drive them before using them in missions. Musical notes serve as special currency to buy additional motor parts and other items. Like the first two games, Nuts & Bolts has many platforming elements, but gameplay is heavily focused on vehicle construction. The game has neat graphics and it is a good platform where you can freely construct machines of your choice. 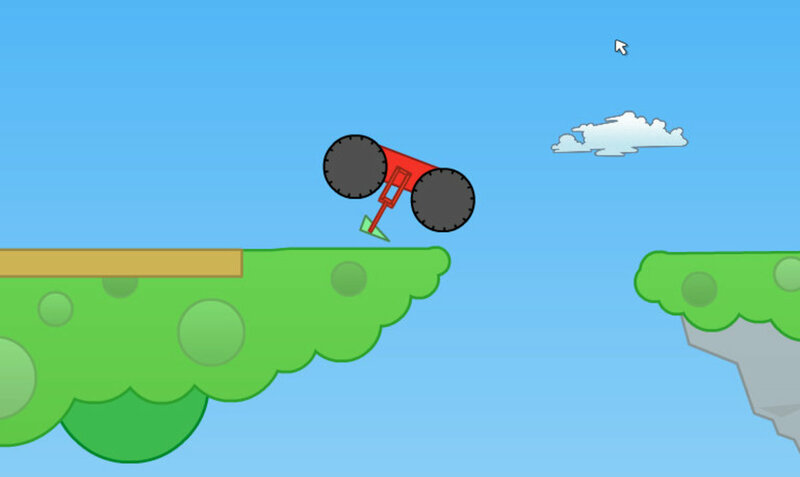 A unique create-your-own-vehicles app, Monster Physics lets you build air and ground vehicles and put cutesy monsters inside for a fun ride. The game has a sandbox mode and pre-built levels. The latter provides plenty of puzzle challenges. Of these, most are kid-centric and teaches the law of physics in a fun, pleasant way. The game’s unique aspect is the use of raw materials in building vehicles. You will have access to an assortment of items like rubber, metal, plastic and ice. And you will need to assemble all these objects by welding them and connecting special parts to bring them to life. The entire building experience is just like creating a new vehicle. Once you have built your vehicle, the physics-based engine comes into play, allowing you to ride your contraption in real time. There are plenty of automobiles to be built, including the usual ones, but you can also make your own unique creations, especially in open-ended levels. The game has a nifty tutorial mode to teach all basic building aspects as well as popular physics concepts such as gravity, acceleration, force and mass. Monster Physics is suitable for both kids and adults. An adorable physics-based puzzler, iBlast Moki allows players to use bombs and create contraptions to get those cutesy mokis into a portal exit. The Mokis are as cute as those green oinks and very animated. You got to look at their expressions when you toss them around each stage. 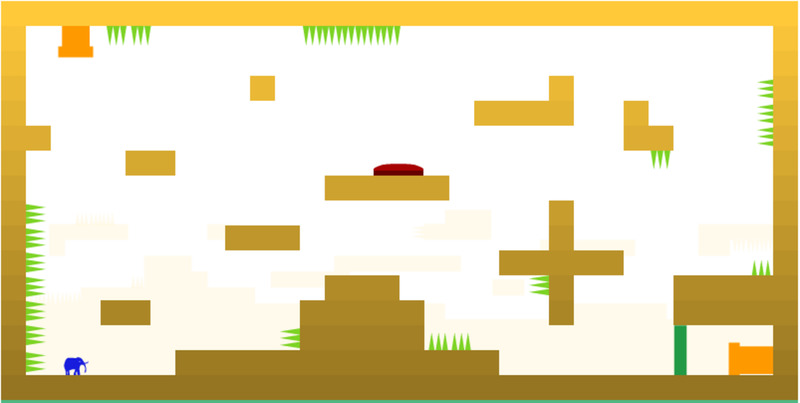 The initial levels allow you to plant simple and timer-based bombs to toss those cute guys around the exit portal. 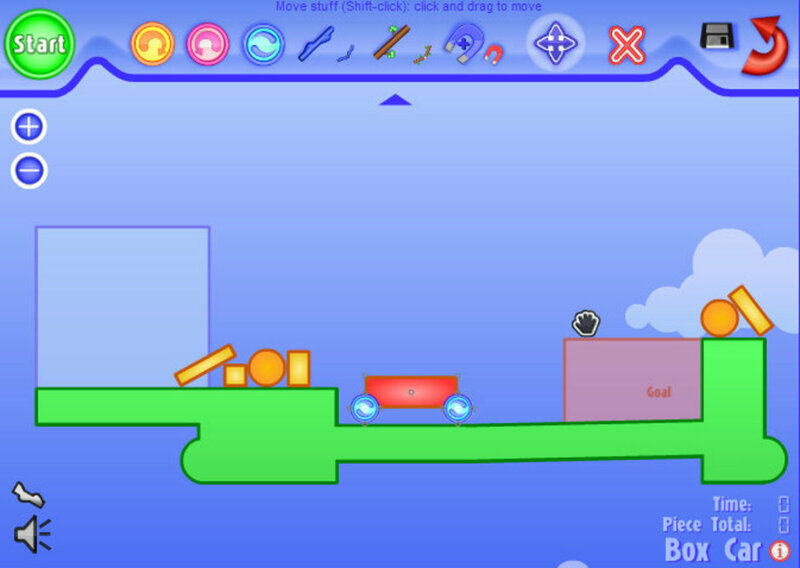 The use of bombs is quite similar to certain levels in Bad Piggies, where TNT is sometimes a key object used to toss around a vehicle into a target. As you progress, the stages become increasingly difficult, forcing you to create snazzy vehicles made from balloons, wheels, iron bars and screws. However, there will be limited number of items in each level and so you will need to jog your brain cells to construct the right contraption from these objects. Some levels may also demand players to build bridges to transport mokis to their destination. 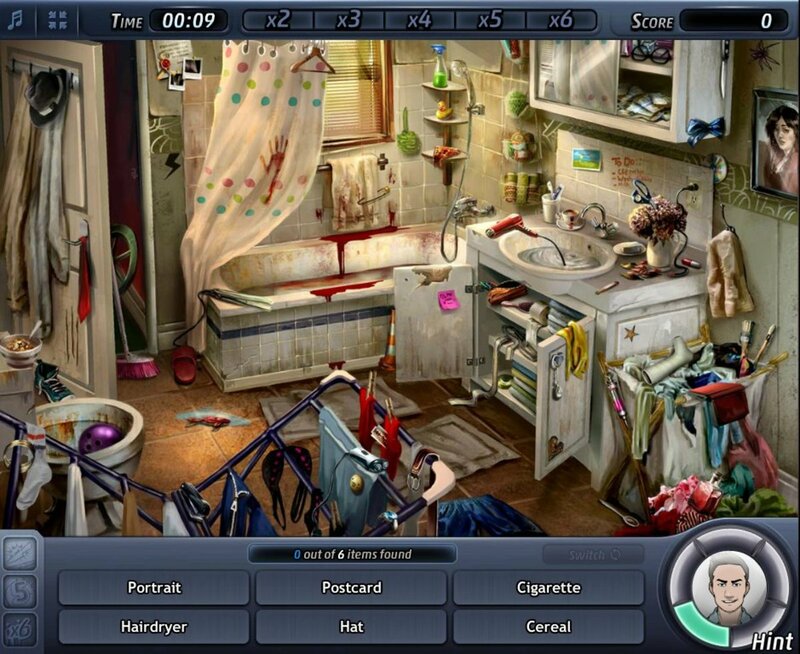 The game has around seventy stages, and each stage contains plenty of fun and challenging levels. Some of them involve getting a big moki into the portal exit in addition to smaller mokis. There are also boss levels at the end of each stage, which is quite complicated. 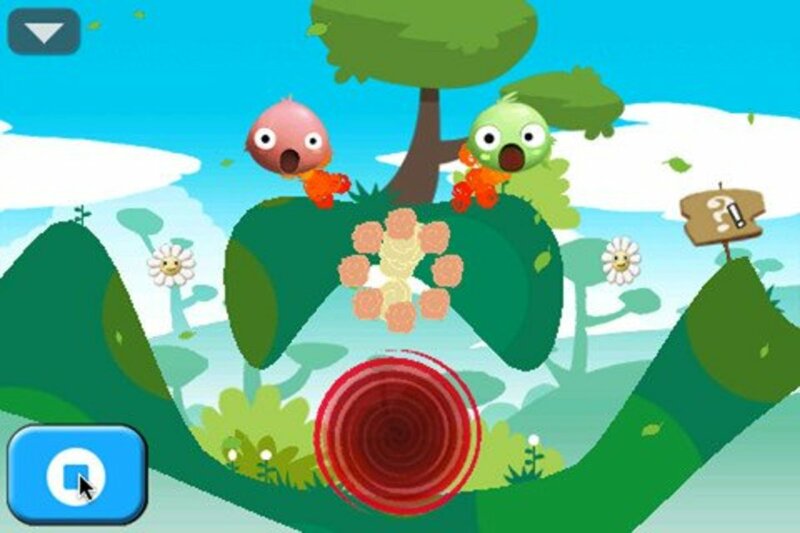 The game utilizes iPhone’s touch screen pretty well, allowing you to pinch and zoom at an object and just drag objects into the contraption using your finger. The attention to detail is top-notch and the visuals are amazing. At $0.99, this game is a steal and a perfect lazy afternoon pastime for all you physics-based game fans. Incredipede has been doing rounds on forums, including popular forums like Touch Arcade. Going by the trailer, the game looks quite promising and might well turn out to be a great physics-based construction game like Bad Piggies. Gameplay concept is very innovative and revolves around a centipede-like creature, which has the ability to grow arms and legs. You will be able to draw new arms legs around her body and then control her movements as she explores mysterious worlds in search of her lost sisters. 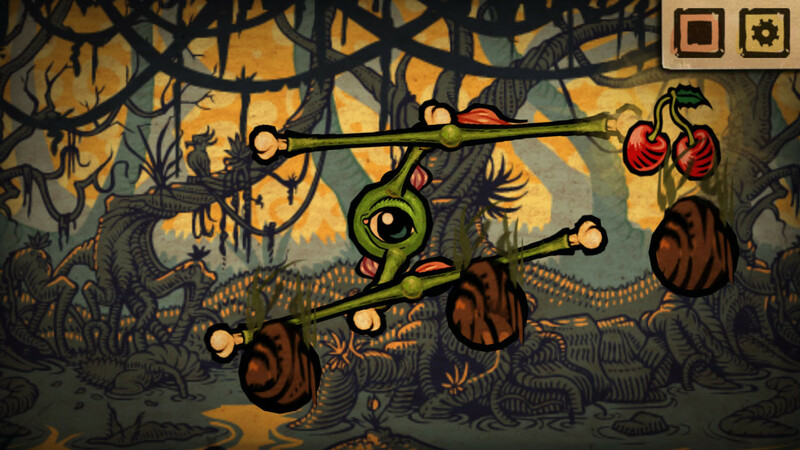 The best part of Incredipede is the way it allows players to experiment as they have the freedom to create anything. But the real fun lies in testing their experiment, which sometimes leads to weird consequences. The visuals are a dream and are straight from a medieval artwork. Controlling the strange creature is also quite fun. You can make it swing trees, climb cliffs, and even fly high into the air. There are endless creation possibilities and even weirder results. Incredipede has over 50 levels and is currently available for pre-order. You can check out more about this game by visiting the official website. And oh, did I tell you it’s developed by the makers of Fantastic Contraption? A flash-based online game, Fantastic Contraption is a marvelous puzzle game that allows players to build mean machines for transporting an object to a pink exit zone. There will have plenty of items at your disposal, such as special water connecting rods, gears, extra wheels and other bits and pieces to build your crazy machine. 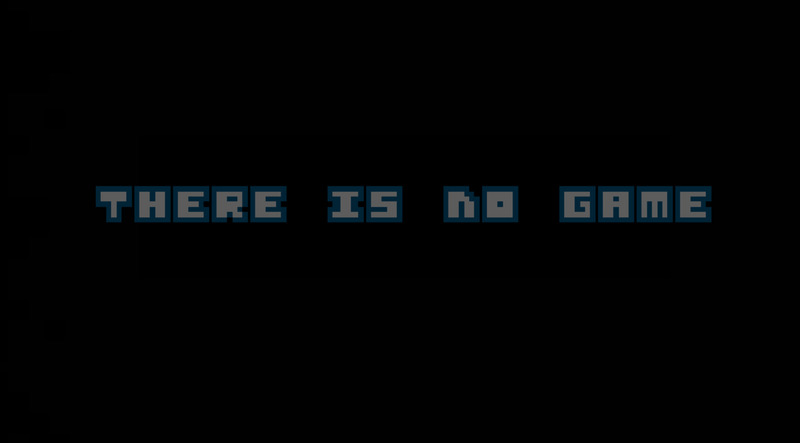 The game has over 60 levels, and each level is more complicated than the other. There is some serious physics involved and a slight item mismatch or a wrong part wouldn’t make it perform, let alone reach its target. Some levels are so difficult that it will take you plenty of trials and errors to make one. The game’s also available for iPad and iPhone and does pretty well in utilizing the device screen estate, gravity controls and touch screen. The beauty of Fantastic Contraption 2 is that it keeps you at your edge of seat, making you think which machine would really fit into the scenario. Although this game is not quite similar to Bad Piggies visually, it’s worth a try, but I would recommend trying out the online version as it’s free. You can also try the iPhone version, as it has got plenty of new levels to play. An amazing sandbox builder, Incredibots lets your imagination go wild by providing simple tools. You can create your own robots by drawing shapes, assembling objects and making changes to object properties. Incredibots is vast and allows you to make complete, moving, physics-obeying bots that can perform a wide range of tasks, from catapulting an object to performing insane aerial stunts. You can also make a transformers type of a robot. The bot-creation possibilities are endless! The game interface will remind you of any windows-based software interface. The menu above lets you save your work, edit, even make movies of your mechanical marvels. You can also use simple drawing tools to create rectangles, triangles and circles and then connect solid objects to make them run. Incredibots has an interesting artwork. 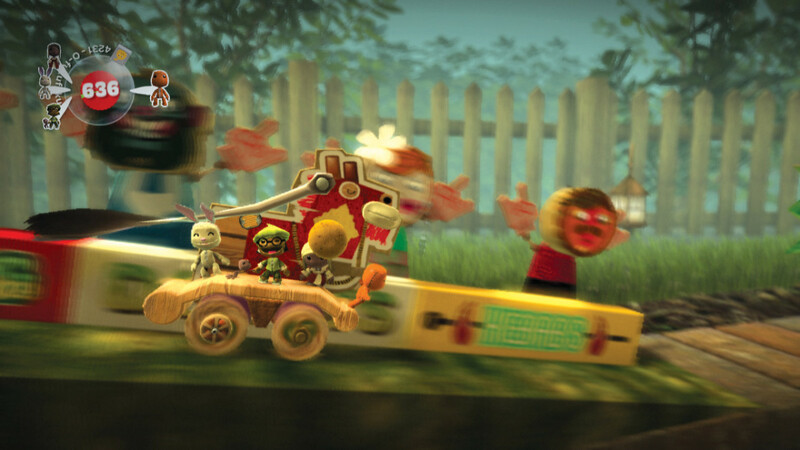 All objects and vehicles are cartoonish, but they perform exactly like real-life vehicles, obeying Newtonian physics. The crude artwork is brilliantly done. This game is essentially a fun online toy that will definitely keep you busy for hours. Little Big Planet (LBP) is one of the best physics-based games I have ever played. Though the game isn’t too similar Rovio’s latest game, it has those fun moments where you build vehicles to assist Sackboy (the titular character) to reach his objectives. In LBP, the initial pre-built levels will remind you of any puzzle platformer game. Later levels allow you to create objects to toss sackboy character to its goals. Every level obeys the Newtonian physics and so you need to interact with pre-built objects and add an object or two to help sackboy. 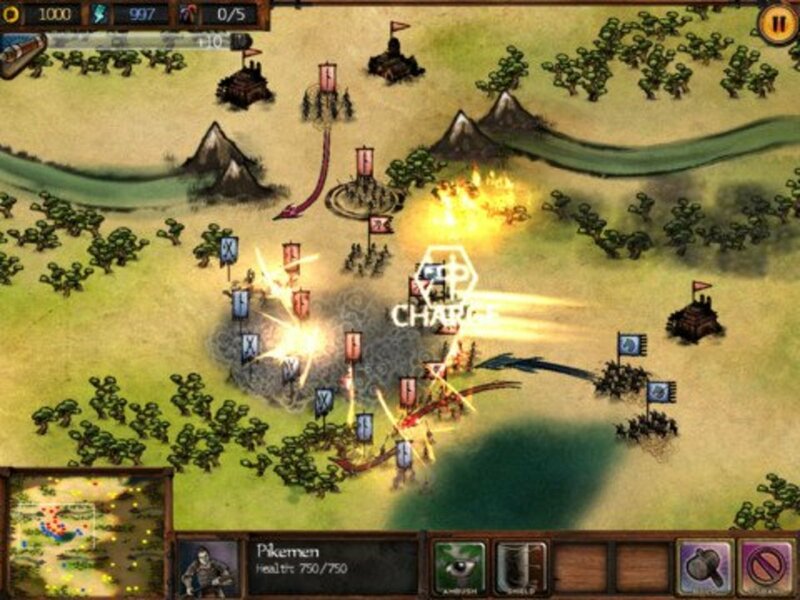 To add more interest to the game, there are levels where your character will have to tread carefully, avoiding fire and other obstacles while completing objectives. On your way, you also unlock fun content, including hidden mini-games, achievements, stickers and other goodies, with which you can decorate your own “pod”. LBP is based on player-generated content, which means you will be able to create your own levels and share them with your friends via the PlayStation network. You will also be able to participate in online challenges against other users. The visuals are truly awesome. 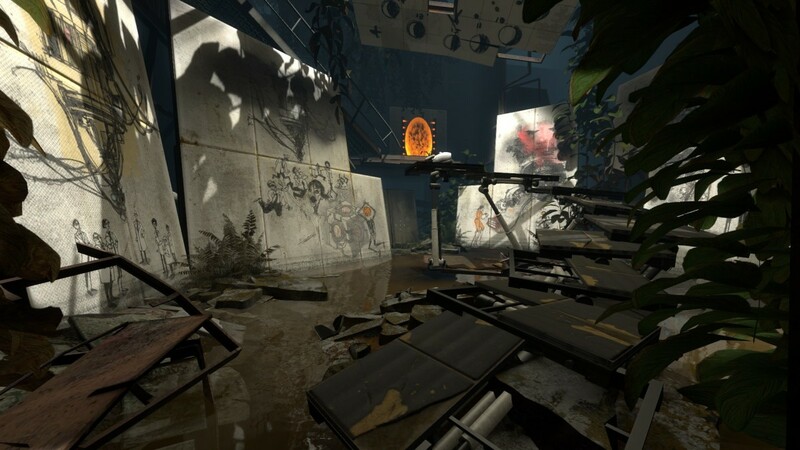 They aren’t completely 3D (2.5 D actually), but all side-scrolling levels have depth, allowing you to take advantage of objects in the background as well as foreground. 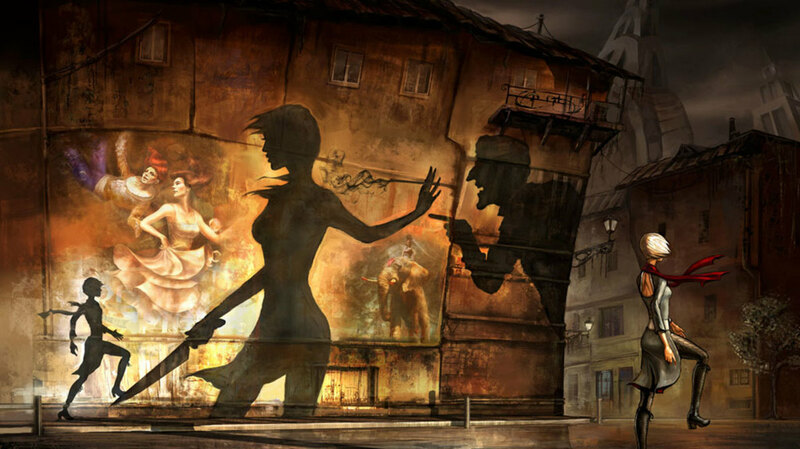 There are plenty of surprises and levels that test your puzzle-solving skills. If you are looking for an equally amazing and fun game like Bad Piggies, then Little Big Planet is the right game for you. Here are some more fun vehicle-building games. Of these, one is a space-themed and allows you to build huge mother ships and combat spacecraft, while another is a fun Incredibots-like game that makes the maximum use of the phone's accelerometer and touch screen to give you a fascinating vehicle-construction experience. 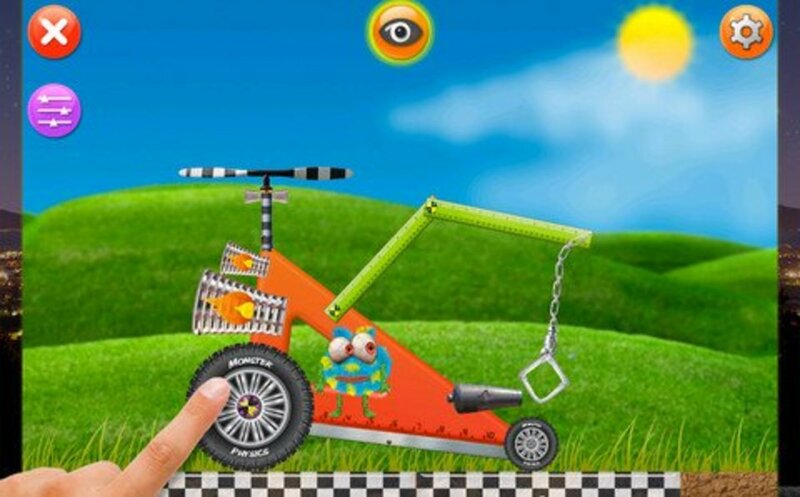 Another great sandbox game, Toy Box is a magnificent 2D physics-based app that lets you create contraptions and vehicles using rods, springs, balloons, wheels and blocks. While the game doesn’t have any puzzles, it helps you unleash your creativity and bring objects to life in a virtual 2D world. The app’s realistic physics engine will make it complicated, but once you have created a marvel, you can do anything with it and use the iPhone’s accelerometer to tilt and ride your vehicles. The game is entirely sandbox and allows players to experiment with various kinds of objects to build their dream machines. You can save your creations, zoom into the vast world of Toy Box and just use your fingers to drag and drop objects. If you like Incredibots and other physics-based web toys, then you should download this app for your iOS device. ScrumbleShip is more of a Minecraft-like game on Space, but I chose to include it in this list because of the vehicle-building mechanics and the subsequent use of user-generated spacecrafts in real-time. 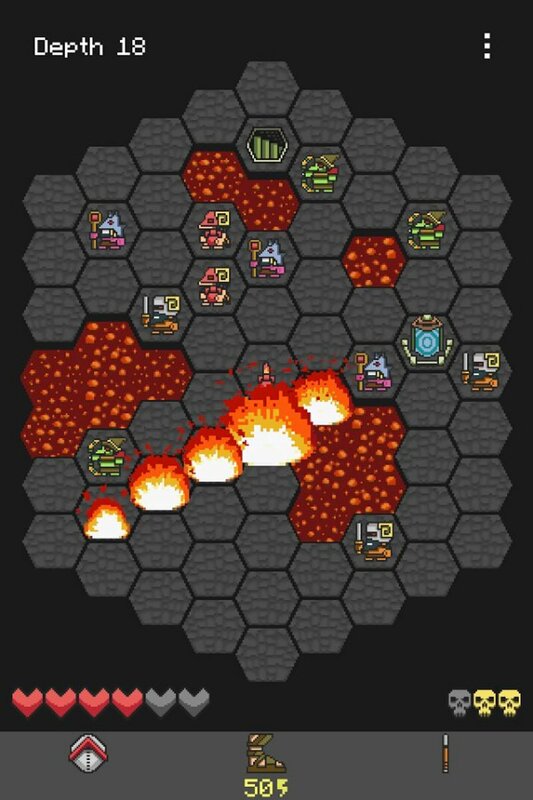 The game allows you to build your own kilometer-long motherships, space fighters, drones and an assortment of spacecrafts. What’s impressive about this game is the way it gives freedom to players to create their own wacky spacecraft and then enjoy the zero-gravity joyride. 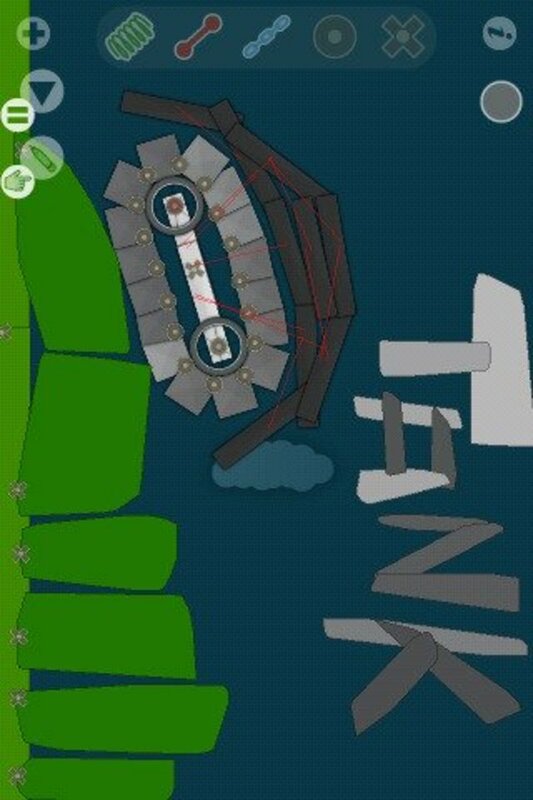 ScrumbleShip throws endless possibilities when it comes to building your own spaceships. But wait! There’s more fun stuff. The game is also a space combat simulation, which means you can build an entire fleet of combat ships from scratch and protect your mothership against online friends in real-time. The game already has a good building community and there are plenty of new mods and spacecraft ideas being introduced in the website forums. You can download a free demo and then purchase the full version if you find it as good as other physics-based games like Bad Piggies. For me, this game is going to be a quite successful, especially with the space-theme, 3D pixel blocks and sandbox mode. My kids love iBlast Moki. 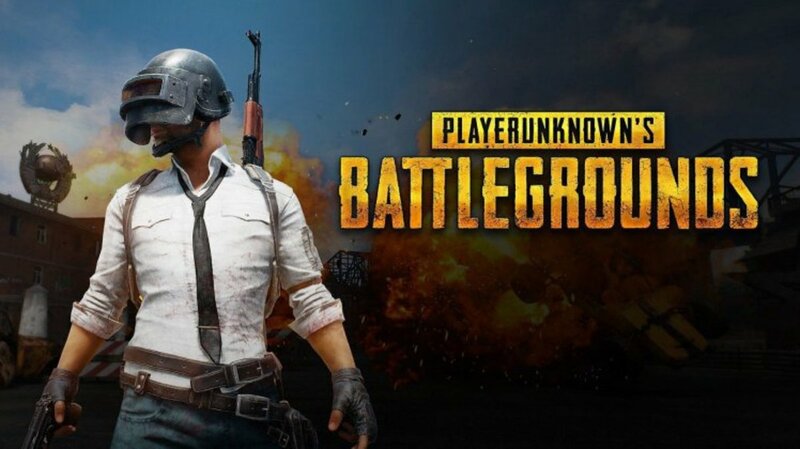 Interesting to read about a handful of other games that will keep their minds working while they play! @Mystery Thanks! Will check it out. add "Doc Clock: The Toasted Sandwich of Time"